The most prevalent county law enforcement job is with the Sheriff's Office. The sheriff is usually the highest law-enforcement officer of a county. In most counties, the sheriff is elected by the people of that county. All law-enforcement officers working for the Sheriff's Office are called deputy sheriffs or sheriff's deputies because they are deputized by the sheriff to perform the same duties that he performs. Deputy sheriffs are responsible for enforcing the laws within the county in which they work. This can include the city limits, but their work usually takes them into more rural areas. They conduct criminal investigations, respond to emergency situations and patrol the county roads. In most states, the sheriff is responsible for housing local prisoners. Some sheriffs' offices require that a deputies also work in the jail supervising inmates as well as working on the street. Other sheriff offices see this as two separate functions, corrections and policing, and do not require their deputies to work in the jail. The sheriff's office is usually responsible for transporting inmates to the courthouse for their hearings. In addition, they main screen visitors entering the courthouse, provide security for judges and other courthouse personnel, maintain order within the courthouse, and serve criminal and civil process. Most sheriffs' offices follow a career ladder of deputy, sergeant, lieutenant, captain, etc. Some states such as Maryland also have a County Police Department in addition to the Sheriff's Office. County Police Officers have jurisdiction throughout the county they work in. They patrol designated areas in the county to preserve the peace and to prevent and discover the commission of crime. They may direct traffic, enforce motor vehicle operating and parking regulations, and perform communication functions. 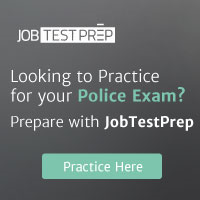 A County Police Officer may also conduct preliminary investigations at the scene of a crime, administer first aid, gather evidence, obtain witnesses, make arrests, and testify as a witness in court proceedings.